Eagle Canyon got its name long before humans built a suspension bridge across it, but the addition of the impressive steel walkway certainly lets visitors come close to feeling like they have the same view as a soaring eagle. The longest bridge is 183 metres across, a third longer than its closest rival in Canada. The feeling of being suspended in the air is palpable when the canyon floor is almost 50 metres below. 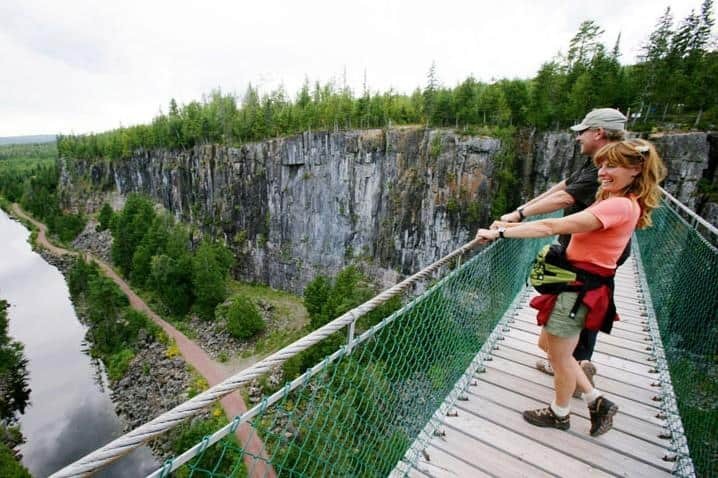 Hiking, fishing and, for adrenalin junkies, a zipline round out the outdoor activities to be enjoyed at this natural spectacle that’s only a 40-minute drive from Thunder Bay. For more information on the adventures waiting in Thunder Bay, go to visitthunderbay.com.